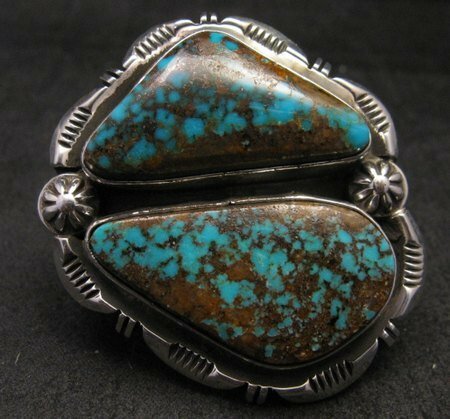 Native American handmade sterling silver turquoise ring by Navajo silversmith, Dean Sandoval. Face of ring measures 1-7/8 x 1-5/8 inches. 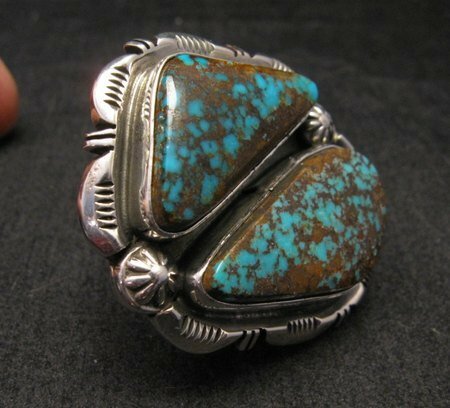 Two natural Persian turquoise stones. Size 7 Item# 6699. 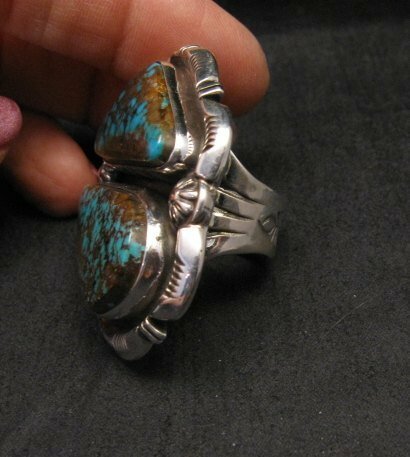 This fabulous Native American handmade sterling silver ring is set with two gorgeous natural Persian turquoise stones. 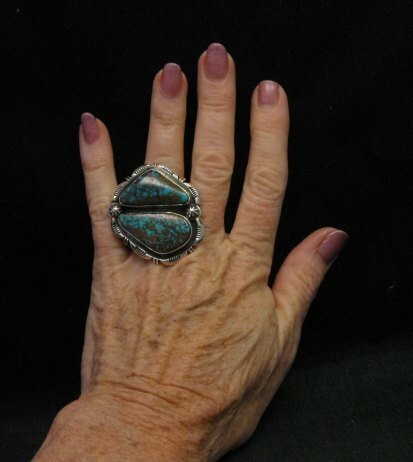 The face of ring measures 1-7/8 x 1-5/8 inches. Thick 3/8-inch wide 4-way split band is stamped all the way around. 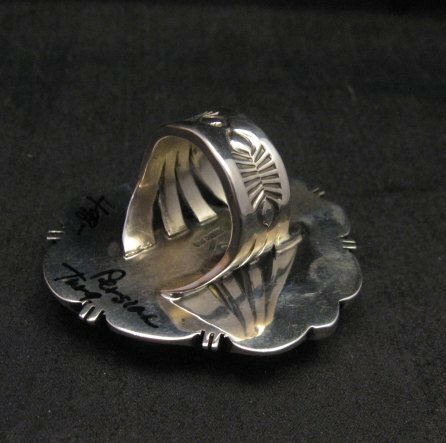 The ring weighs 36 grams. Size 7. Brand new in perfect condition. 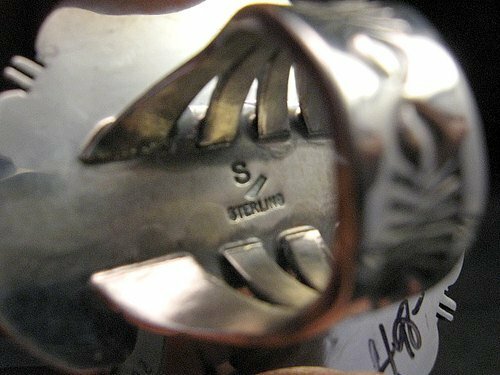 Hallmarked S/ for Dean Sandoval. Certificate of Authenticity included and gift box included. 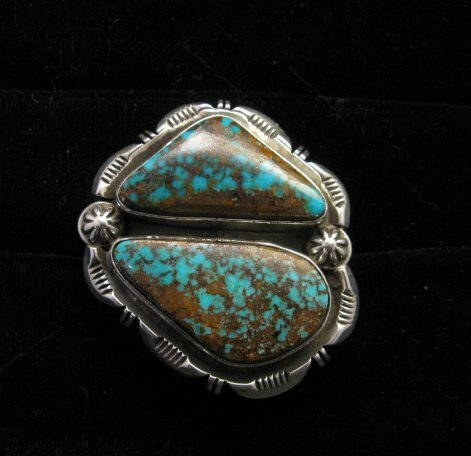 Dean Sandoval was born in Albuquerque, New Mexico, to parents who were silversmiths. 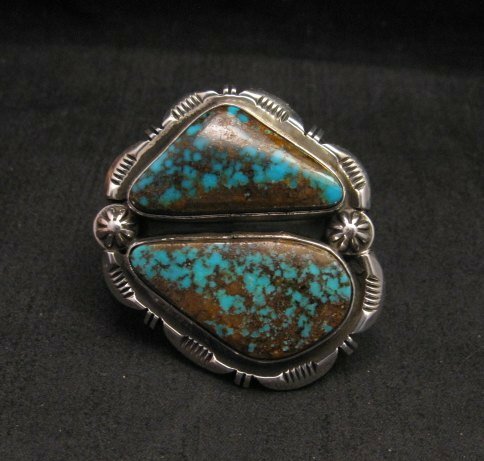 He grew up in Canoncito on the Navajo reservation, where he and his siblings learned the craft. 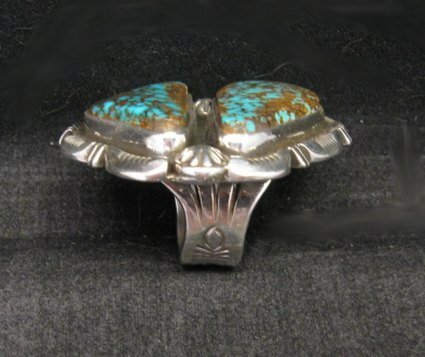 His mother Alta Sandoval, his sister Bonnie Sandoval, and his wife Rosella are all currently working silversmiths.